It took just 43 seconds for Manchester City to take the lead against their cross-city rivals on Tuesday night, as they attacked United from the first whistle and found their reward quickly through Edin Dzeko’s goal inside the opening minute. City went on to beat the reigning Premiership Champions 3-0, to claim their third consecutive derby victory and fifth in the last six meetings between the two clubs. After going behind so early, Manchester United did respond well and the rest of the first half was an end-to-end contest with both sides looking dangerous on the break. However, after the interval the gulf in class between the two teams was evident as City pulled away and extended their advantage when Dzeko grabbed his second from a corner, then YaYa Toure completed the scoring in the final minute. While Manuel Pelligrini’s men are looking upwardly mobile and now sit just three points behind leaders Chelsea with two games in hand, the defeat appears to have been the last straw for many United fans who are starting to openly revolt over David Moyes’ stewardship of the club. Perhaps the most telling evidence of this is not that a group of supporters are planning on flying a plane over Old Trafford during their match on Saturday calling on the Scot to be sacked, but that Sir Alex Ferguson – who handpicked Moyes as his successor – reportedly received abuse in the Director’s Box on Tuesday evening – if the United faithful are ready to turn on their most successful ever manager, then things must be getting bad. It was the 10th defeat of the league season for the Red Devils – their most ever in the Premiership era – and they now look unlikely to qualify even for the Europa League, which would mark the first time they have not been in a European competition since 1989-90, when all English clubs were banned from competing as a result of the Heysel Stadium disaster in 1985 (the last season United were eligible to play in a European competition and did not was 1981-2). The statistics back up just how badly United have been at home this season: their record is won 6, drawn 3, lost 6, while they have scored just 18 times in those 15 games (compared with 45 in 19 fixtures last season with basically the same squad) and have conceded the same number. But no matter what the numbers say, the biggest indictment on the failings of Moyes tenure is that when you are watching Manchester United play now, you do not believe they will be able to beat the best teams – they look and perform like a second tier Premiership club. Next up for Manchester City following that derby victory is a trip to Arsenal on Saturday and they once again have the opportunity to pile onto the problems of one of England’s most established teams who are having a tough time. It seems to happen every year that the Gunners have a major stumble around February or March, as a previously promising looking campaign comes tumbling down and they end up recovering only enough to finish a single place above Tottenham. On Tuesday, following on from their 6-0 thrashing by Chelsea, Arsenal faced a home match against Swansea, who had failed to win in their previous seven games and are hovering just above the relegation zone. The Swans took a lead into half-time as Wilfried Bony climbed above Per Metersacker to head in the opener, but the home team responded with two goals in 66 seconds to turn the match around and appeared to give Arsene Wenger’s men a victory that would have moved them to within four points of the top of the Premiership. However, in the final minute their was chaos in the Arsenal box as Leon Britton’s attack was thwarted by Metersacker, but his interception bounced off Wojciech Szczesny and Matthieu Flamini then into the net to give the Welsh side a much-needed point and all but end the title hopes for the Gunners, who sit 6 points behind leaders Chelsea, 5 of Liverpool and 3 of City, who have two extra games left to play. Rather than looking to catch the teams above them, Arsenal must now be looking over their shoulder as they try to hang onto the final Champions League spot, with Everton closing in on them. The Toffees won their fourth consecutive Premiership fixture with a 3-0 defeat of Newcastle at St. James’s Park, with the opener coming from a 70 yard run by Ross Barkley, who had started the move by helping clear a corner from the edge of his own penalty area, before picking up the ball and running straight at the home side before finishing past Tim Krul. Although the gap between Everton and Arsenal is 6 points, the Merseyside club have a game in hand and the two teams meet at Goodison Park next weekend, not to mention that the Gunners face Manchester City this Saturday, while the Toffees are playing bottom side Fulham. Nevertheless, the remainder of the run-in heavily favors Arsenal who, after their trip to Everton, have home fixtures against West Ham, Newcastle and West Brom, with their last two away games being at Hull and Norwich; while Roberto Martinez’s men still have to play both Manchester clubs (well I guess City will still be tough, if not United). In their final away match against the other teams that comprise this season’s top four, Arsenal were once again on the receiving end of a thrashing, following up their 6-3 loss at Manchester City and 5-1 Anfield defeat with a 6-0 beating at the hands of Chelsea. In the buildup to the fixture, there was much made of this being Arsene Wenger’s 1,000th game in charge of the Gunners, but his otherwise impressive tenure was put into some context by his failure to beat Jose Mourinho during his spell in North London. Any notions that this trend might end were gone by the 7th minute, as the Blues raced into a 2-0 lead and the title race seemed like it was down to three teams by the 14th minute, when Eden Hazard converted a penalty to make it 3-0 and Arsenal were reduced to ten men – although not the correct ten. To be fair to referee Andre Marriner, he got the decision to dismiss one of the visiting team correct, since a shot from Hazard was tipped wide (although it probably was not on target anyway) by a hand that did not belong to goalkeeper Wojciech Szczesny, but it was completely inexcusable that he could not differentiate between Alex Oxlade-Chamberlain (who committed the offense) and Kieran Gibbs, who was erroneously shown the red card. To make matters worse, Oxlade-Chamberlain told Marriner that it was in fact him who should be sent off, but the referee for some reason chose not to believe him or correct the mistaken identity and Arsenal lost a defender instead of an attacking midfielder. 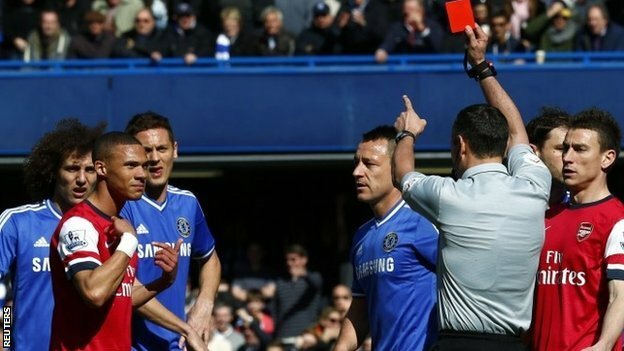 In their subsequent review of the incident, the FA rescinded the red card for Gibbs and gave no suspension to Oxlade-Chamberlain, stating that it was not a sending off offense because the shot was going wide – but the Arsenal midfielder did not know that at the time and his intent was to stop a goal thus I believe he should have been dismissed (the letter of the law does say differently, however). Overall, the officiating mistake did not affect the outcome of the game and Wenger must be concerned that his team’s performances against their title rivals this season – with just Manchester City at the Emirates to go, the Gunners record reads as: Played 5; Won 1; Drawn 1; Lost 3; Scored 6; Conceded 17 – allowing as many goals in those five matches as they have in their other 25 in the league. As for Chelsea, they remain first in the Premiership and unbeaten against the rest of the top four this campaign, as they got five goals from attacking midfielders – two for Oscar, the penalty for Hazard and one each for Andre Schürrle and Mohamed Salah – after Samuel Eto’o had opened the scoring in the fourth minute, before the Cameroonian striker was forced off with a thigh injury. The Blues are currently four points above Liverpool, who beat Cardiff 6-3 at the weekend with Luis Suarez notching another hat-trick and Martin Skrtel scoring twice; and are five points ahead of Manchester City, who were propelled by three goals from YaYa Toure – two from the penalty spot and a stunning third into the top corner – in their 5-0 thrashing of bottom side Fulham. Those defeats for Fulham and Cardiff were indicative of a bad weekend for the sides in the relegation battle, with the bottom five teams all losing their respective fixtures. Sunderland were beaten 2-0 at Norwich, with the second goal for the Canaries coming via a fantastic 30-yard volley from Alexander Tettey. It is crucial for Norwich to put as much distance as possible between themselves and the drop zone over the next few weeks since their final four fixtures see them host Liverpool and Arsenal either side of trips to Old Trafford and Stamford Bridge. One good sign for the Canaries has been their defensive performances at Carrow Road – since the start of 2014 they have had 6 Premiership matches at home and conceded just once, holding out both Tottenham and Manchester City during that run and allowing only Stoke to find the net from a penalty. Crystal Palace looked set to earn a point in their away match with Newcastle on Saturday, having held out the Magpies for 94 minutes, but with their final attack the home side gained all three points when Hatem Ben Arfa’s cross found Papiss Cisse’s unmarked in the area and the Senegalese striker made up for some earlier misses by heading in the winning goal. West Brom completed the quintet of failure for the bottom quarter of the Premier League as they were undone by their former striker, Shane Long, who won a penalty from which Hull got the opener (the spot kick was saved but Liam Rosenior headed in the rebound) and then scored himself to give Steve Bruce’s side a 2-0 victory. After the game, Long was subjected to abuse from some Albion supporters while he was walking with his young daughter, something that is never excusable but was particularly harsh considering the striker did not celebrate his goal, nor claim a penalty when he had tripped himself up in the box. Following on from last weekend’s derby defeat to Arsenal – which I covered with a live blog here – Tottenham’s season effectively ended on Thursday night when they were knocked out of the Europa League by Portuguese side Benfica. After Spurs had lost the first leg 3-1 at home, it looked unlikely that they would have much chance of progressing, but the odds lengthened further with one look at the team sheet, as Tottenham were forced to play Sandro and Zeki Fryers as a central defensive partnership because Michael Dawson, Younes Kaboul and Vlad Chiriches were injured, while Jan Vertonghen was serving a one game suspension. To compound having a centre back pairing who were both playing out of position, Spurs also appeared to have already given up on the Europa League, as they left Hugo Lloris, Kyle Walker, Paulinho and Emmanuel Adebayor in London, stating that they all had strains but, in all likelihood, at least three of the four will be lining up against Southampton this Sunday. For some time, I have tried to get into MLS* without much luck, not because I do not love the sport – I have been a lifelong football and Tottenham Hotspur fan (those two are not always mutually exclusive, I assure you) – but rather as I lacked any affiliation to a team. This was not an easy process however, I could not force the issue to pick any club, there had to be a compelling reason for me to support them. Of my other rooting interests, I have been a Tottenham fan as long as I can remember; picked the Green Bay Packers when I started following the NFL in the early 1990s as they seemed a good alternative to the star-studded Dallas Cowboys and San Francisco 49ers; and started watching baseball during the 1996 World Series, chose the Yankees as my team rather than the Braves, since New York was the city I wanted to live in one day. In all three cases, however I have come to support a club, once I am a fan I will not change my team, so I did not just want to pick a franchise randomly. *One thing I have learned early on is not to refer to it as “the MLS” which makes sense as that would be “the Major League Soccer”. Geographically, supporting NY Red Bulls made the most sense, but then they went and signed Thierry Henry as their star player, eliminating them as a contender for my support as I could not root for someone who was such a legend at Spurs’ most hated rivals, Arsenal. Inevitably, the connection had to come from Spurs and, during my time as a season ticket holder at Tottenham – from January 2002 until my move to Brooklyn in April 2007 – there were two diminutive strikers who ranked as the top two scorers I had seen in person for Spurs, Robbie Keane and Jermain Defoe. Keane was the first of these two to move to Major League Soccer, but he joined the L.A. Galaxy who had become a super-popular team when David Beckham moved to them in 2007, so that felt like a full bandwagon on which to attempt to jump. There was a supposed theory that many Tottenham managers had that the two short strikers could not play together up front – a fact that I always disagreed with considering the regularity with which they banged in the goals when they first partnered each other in 2003 – but of the pair, I was always a bigger fan of Defoe and wanted him to start every match. When it was announced this January that the England forward would be moving to Toronto FC, I was gutted that he would no longer be a Spurs player – even though he was hardly getting a game in the league this season, I still felt confident in his ability to get goals whenever he made it onto the pitch. 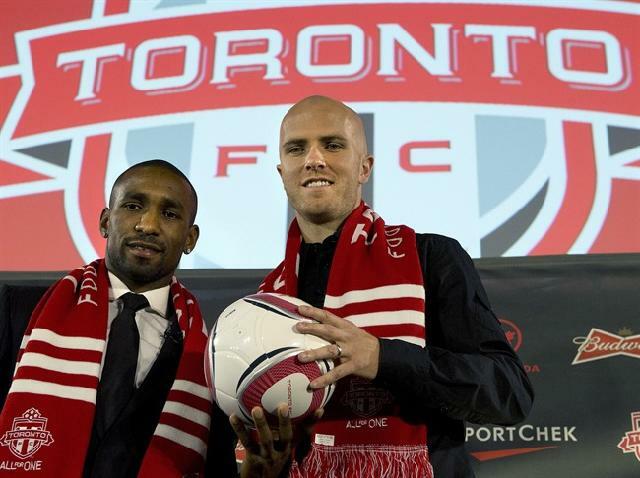 However, Defoe’s arrival in MLS meant that finally I had an allegiance to a team in the league – starting with the 2014 season I would be Toronto FC’s newest fan. I am completely aware that new fans to a club can be welcomed, but also treated with disdain by those who have been there for a while, which in the case of Toronto FC, can be since the start since the franchise was founded in 2006. However, for any die-hard U-sectors or Red Patch Boys, let me assure you that I am not taking this lightly and henceforth will be rooting for your our team, even if Defoe ends up being traded or sold. 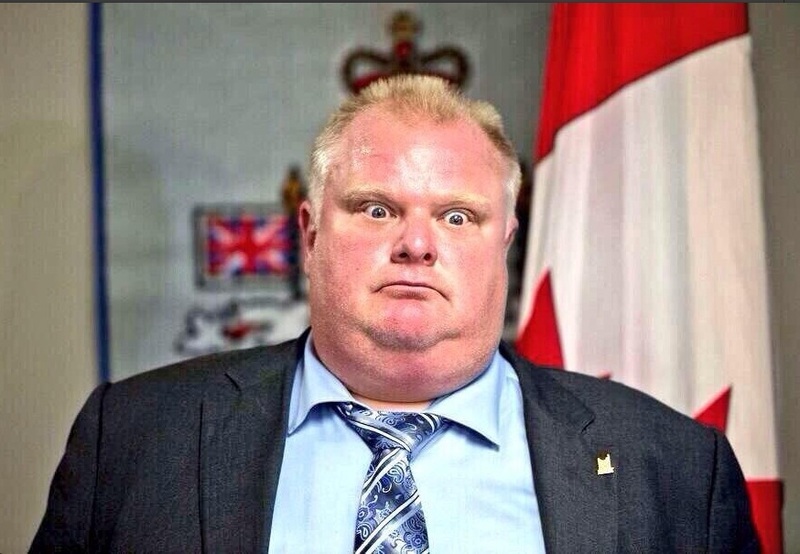 I would recommend a reciprocal deal where Toronto FC fans could start supporting Tottenham Hotspur, but I am not sure you would thank me in the long run. 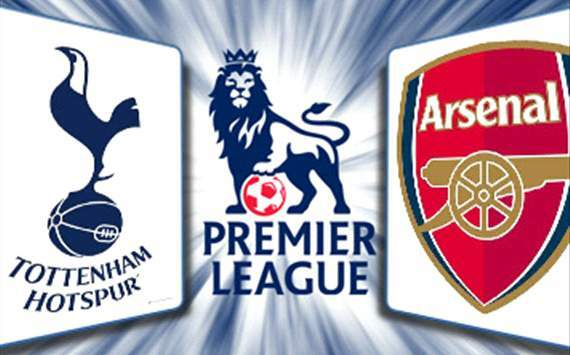 Tottenham starting XI: Lloris; Naughton, Kaboul, Vertonghen, Rose; Sandro; Townsend, Bentaleb, Eriksen, Chadli; Adebayor. When your team has only lifted two League cups in the last 23 years; not finished above their biggest rivals since 1994/5; and consistently find a way to fail to live up to expectations, it should not be a surprise when there are bad times to be a supporter of that club. For us Tottenham fans, last weekend was a particularly disappointing one, starting with the Premiership match away at Chelsea that ended in all too familiar fashion, as we were beaten 4-0 on a ground that we have not won on since February 1990. In some respects, the final scoreline was slightly harsh on Spurs: just as had happened against Manchester City at White Hart Lane in January, a penalty and red card were awarded against Tottenham with the sending off later rescinded upon appeal, suggesting the original decision had been incorrect. When Younes Kaboul was adjudged to have fouled Samuel Eto’o in the box, the visitors were already a goal behind after the Cameroonian striker had been played in by Jan Vertonghen’s awful attempted backpass, but the game was all but killed off when Eden Hazard converted the penalty to give Chelsea a two goal edge to go with their man advantage. Even if there was some decisions that went against Spurs, they could only have themselves to blame for the poor performance, due to individual mistakes from players – both of Demba Ba’s late goals were also a result defensive errors – and a ridiculous lineup that Tim Sherwood had sent onto the field. Despite playing a 4-5-1 system, five defenders were in the starting lineup, while Vertonghen (at left-back), Kyle Walker (right-wing) and Aaron Lennon (left-wing) were all played out of position. The inept Nabil Bentaleb was once again started in the middle of the pitch alongside the beast that is Sandro (who was the main reason the score at half-time was 0-0 as he made several important tackles and interceptions) while Paulinho – who has a good partnership in the midfield with his Brazilian teammate, was only introduced after Kaboul had been sent off. 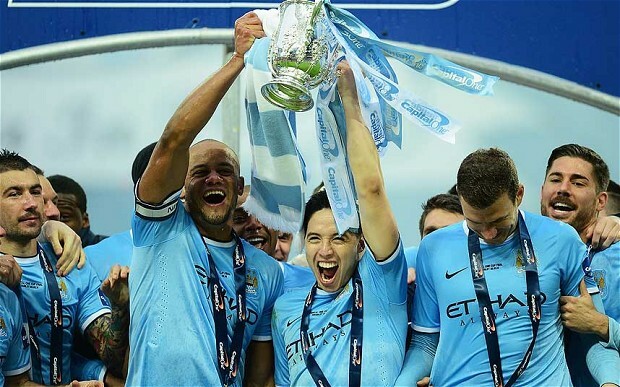 In the first major final to be contested in England this season, Manchester City came from behind last Sunday to beat Sunderland 3-1 thanks to second-half goals from YaYa Toure, Samir Nasri and Jesus Navas, to lift the League Cup for the first time since 1976. In the first half, the Black Cats more than held their own, took the lead in the tenth minute through Fabio Borini and, for the best part of an hour, they repelled City’s attacks and looked comfortable in doing so. However, in the 55th minute Toure picked up the ball in the middle of the park, played a one-two and then unleashed an unstoppable shot from thirty yards into the top corner of Vito Mannone’s goal. Within 100 seconds, any hopes Sunderland had of repeating Wigan’s success over Manchester City in last season’s FA Cup final were evaporated, as Samir Nasri provided a splendid finish to a nice flowing move by Manuel Pelligrini’s men to move them in front for good. Late on, Darren Fletcher had a great chance to equalize for Sunderland, but failed to pull the trigger when he was in front of goal and, moments later, City broke on a counter attack and Navas put the result beyond any doubt and gave Pelligrini his first trophy in European football.